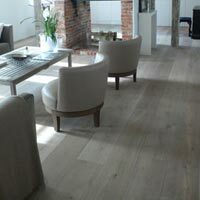 Applegate Wood Floors Blog: Estimated $100 Billion in manufacturing coming back to the U.S. within 10 years. Estimated $100 Billion in manufacturing coming back to the U.S. within 10 years. 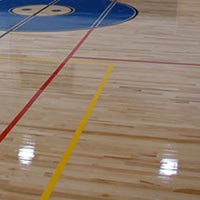 The hardwood category came to blows in the last couple of years as overseas competition, namely from China, became fierce, and both U.S. manufacturers and importers fought for their businesses. At the same time, several manufacturers redirected their efforts to manufacture product here in the States that was previously produced overseas. Both Somerset and Mullican are now producing engineered hardwoods and Home Legend acquired domestic maker Baker’s Creek, which they now emphasize and market as a key brand. In order to shift its manufacturing capabilities to the States, Mullican will invest $12 million over the next three years in its new 309,000 square-foot facility, and will add between 70 and 80 additional jobs, according to the company. This move to domestic manufacturing or “onshoring” is so expansive that industry executives said that they believe $100 billion in manufacturing will be brought back to the U.S. over the next decade. This shift is also believed to lower the nation’s unemployment rate by 1.5 percent by creating hundreds of thousands of jobs, according to Mullican’s president, Neil Poland. Dan Natkin, director of wood business at Mannington, said the United States is ripe for an increase in manufacturing because of its great supply of raw materials and transportation logistics. 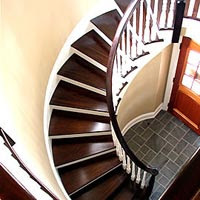 Mannington is a champion of domestically made products, with about 85 percent or more of its products made here in the United States, according to the company. “We have a long standing, well routed relationship with domestic production. It’s the right thing to do; we’d rather direct our destiny,” said Natkin. Thanks for providing your useful tips.